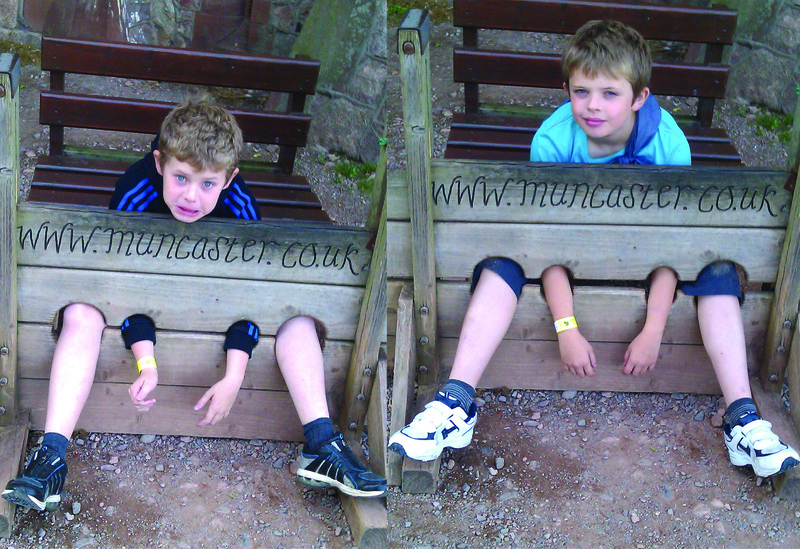 Last year, during our holiday in the Lake District, we had a wonderful family day out at Muncaster Castle. The castle itself is stunning, very well-preserved and is actually still inhabited by members of the Pennington family. We were incredibly fortunate as when we looked around the inside of the castle we actually met, the very congenial and charming, Patrick Gordon-Duff-Pennington who took the time to chat to us. Muncaster boasts a beautiful collection of owls who you can see in the Owl Centre or watch during flying displays in the castle grounds; although on sunny days I would recommend that you take a hat and lots of sun screen as the grounds are a bit of a sun trap. The view from the path around the castle is truly breath-taking, even more so because you can clearly see buzzards flying around as they waiting for the Herons to be fed! 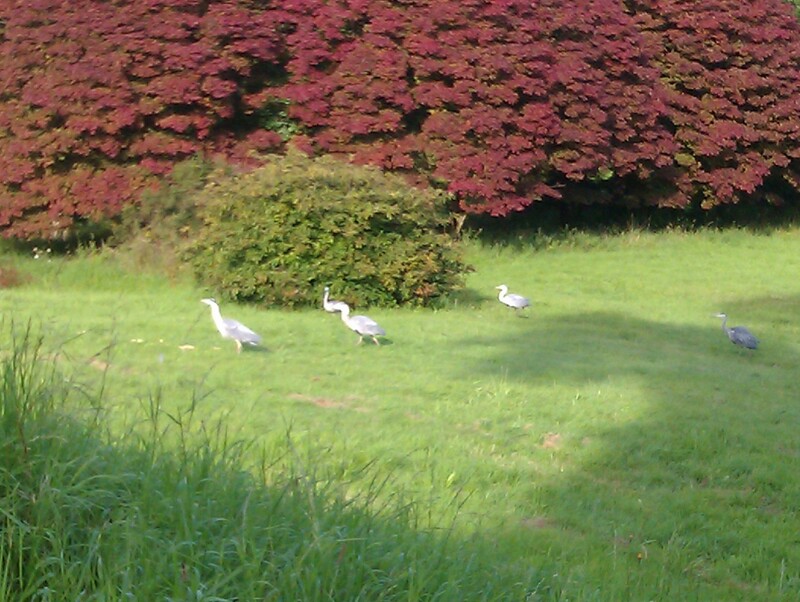 When you go, I urge you to wait and see the Heron Feed it is simply amazing. The herons start appearing and sit in the trees or in little clusters on the ground, then when the food is thrown down to them they perform the strangest mexican stand-off! They all pretend not to be interested in the food while slowly moving closer to it until finally one of them makes a break for it which then prompts one or two of the others to go for it too and then the all pretend not to be interested again! All the while the buzzards are flying around trying to pinch the food too. Amazing and funny to watch. On the day we went, there was a jester performing on the lawn which the children thought was brilliant. He did juggling, fire eating, escapology with a running commentary of jokes. Further into the grounds is the Meadowvole Maze which is an interactive maze for all the family; especially good for little ones. As well as having a gift shop with lovely mementos of Muncaster there is also a plant shop and a cafe which sells the most incredible cakes! 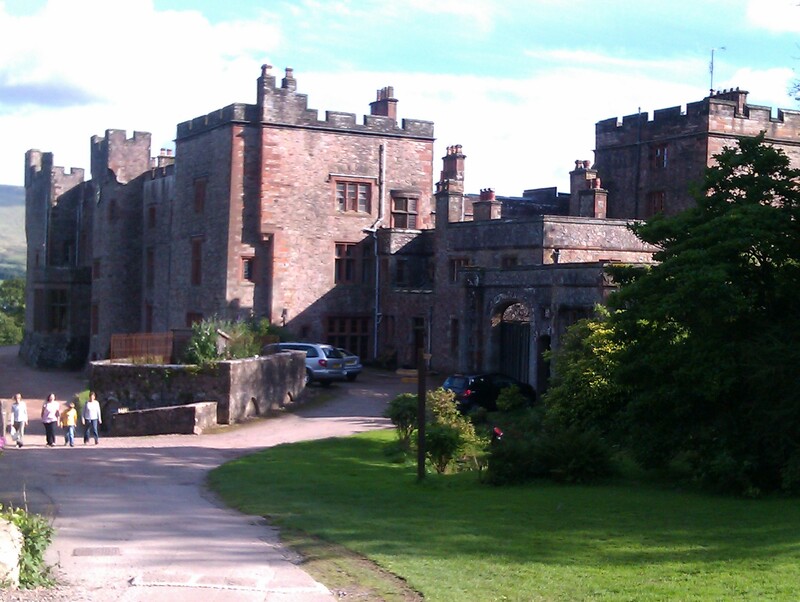 I would definitely recommend a trip to Muncaster Castle if you are staying nearby, it was a day of good old-fashioned family fun and the drive to it offers some incredible views of the area. As long as it isn’t tipping down with rain you would still have an excellent time. If anything, I would avoid going on a really sunny day as watching the owls etc in the blazing heat was scorchio!